The mystic truth inherently possessed by all living beings is none other than Myoho-Renge-Kyo. Therefore, by chanting Myoho-Renge-Kyo, they can become aware of the mystic truth that is inherently within them. [Myoho-Renge-Kyo] is the king of sutras and manifests the ultimate truth in character and principle. Thus, its words are, in themselves, the true entity, and the true entity is, in itself, Myoho-Renge-Kyo. In other words, the Chinese characters making up the scriptures of Myoho-Renge-Kyo are not simply characters. These characters themselves present the true entity and all phenomena in the universe and the enlightenment of the Buddha. 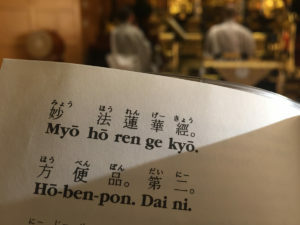 Therefore, when we chant the Daimoku of Myoho-Renge-Kyo, which is the fundamental core of the essential teaching of the Lotus Sutra, to the Gohonzon of the essential teaching, our confusion and delusion as common mortals will be purified and transformed into the enlightenment of the Buddha, through the power of the benefits of the Daimoku (chanting Nam-Myoho-Renge-Kyo). Learn why the Buddhist practice of chanting Nam-Myoho-Renge-Kyo and reciting the Lotus Sutra brings about happiness and joy in our lives. 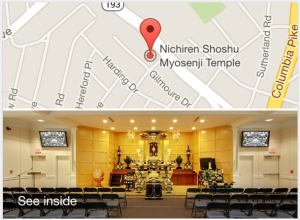 This Sunday, March 18th, our Chief Priest will lecture on how to practice Buddhism. 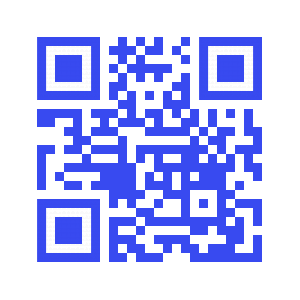 The meeting starts Sunday, March 18th at 2:00 pm and concludes around 3:15 pm. Open to the public. 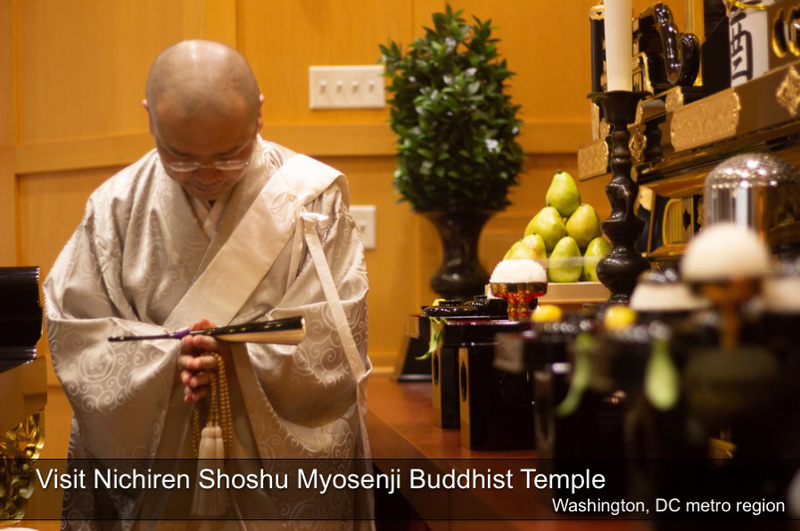 If you have decided to become a Buddhist or are interested in learning how to become a Buddhist, Rev Sakabe will be performing the Acceptance of the Precept Ceremony, the ceremony where you become a Buddhist, immediately following the meeting. Excerpted: Nichiren Shoshu Monthly Magazine, The Importance of the Single Character for Faith, March, 2018, pp.7-10.